Published in The Big Issue, Feb 20-Mar 5 2015. By mixing Eastern European music with Arabic, Mediterranean, Funk, Reggae and Dub, Balkan Beat Box are redefining world music. The hip, coffee shop-lined streets of New York’s Brooklyn may seem, at first glance, a literal world away from the likes of Tel Aviv and parts of Eastern Europe, but for “godfathers of global bass” Balkan Beat Box, the similarities are more evident than you’d think. Formed in 2003 by Israeli-born musicians Ori Kaplan and Tamir Muskat, Balkan Beat Box came together on the underground Brooklyn music scene, a hotbed of musical mashups and genre-hopping, the perfect breeding ground for the group’s heady mixture of traditional Israeli and Eastern European music and the more modern electronica and funk prevalent in the US at the time. The mixture of musical styles BBB blend is hardly a common one. Drawing on their own traditional music, as well as Arabic, Mediterranean and Eastern European in addition to funk, reggae and dub, they’ve come to create something of their very own – important in New York, as Kaplan says. “In New York, the idea is you find something that you’re really good at, and be the best at it. So you look at yourself, you look inward, you look back to your roots,” he concurs. “There was a lot of different music at home,” he goes on, referencing said roots, “but when you’re young, you’re not really conscious, it hits the back of your ear. [There was] Turkish, Arabic, Greek music, there was a lot of mix, and we grew up in Israel, it’s a melting pot, lots of people from different cultures. 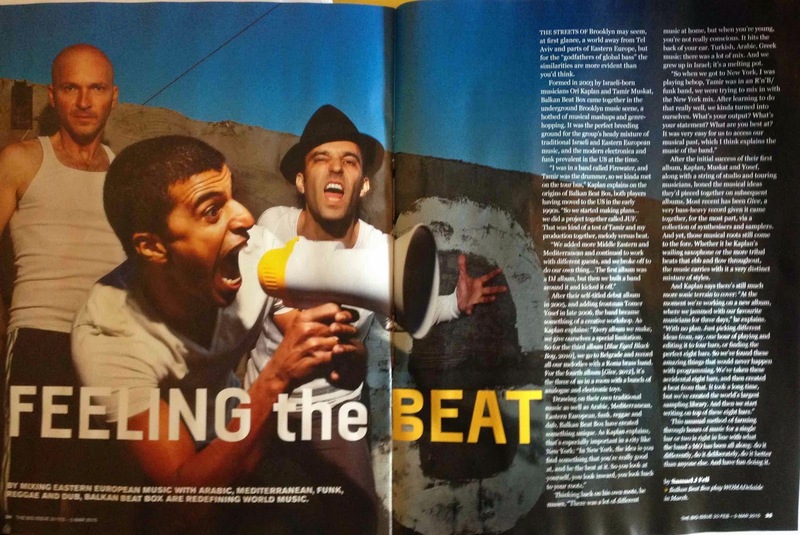 After the initial success of Balkan Beat Box in 2005, Kaplan, Muskat and Yosef, along with a string of studio and touring musicians, honed the myriad musical ideas they’d pieced together, returning to the studio subsequently releasing Nu Med (2007), Nu Med Remixes (2008), Blue Eyed Black Boy (2010) and most recently, Give, in 2012. And there’s still, according to Kaplan, so much more sonic terrain to cover. “At the moment we’re working on a new album, where we jammed with our favourite musicians for three days,” he explains. “With no plan. Just picking different ideas from, say, one hour of playing… [and] editing it to four bars, or finding the perfect eight bars. 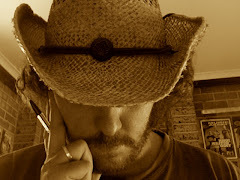 This unusual method – farming through hours of music for a single bar or two which then forms the basis of a beat which then becomes an album track – is commensurate with what the band’s MO has been all along. Do it differently, do it deliberately, do it better than anyone else. And have fun doing it. From growing up in Israel to where they are now, they journey has been long, but is hardly over. Balkan Beat Box play WOMADelaide over the March long weekend. Published in The Big Issue (Aust), Friday February 6. 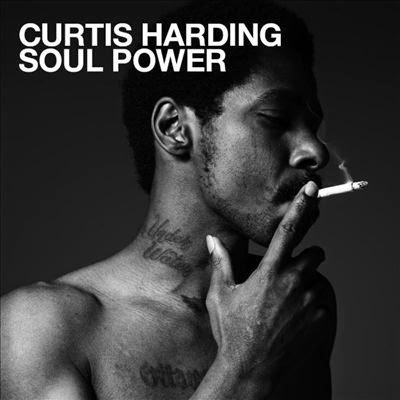 The debut release from up-and-coming soul singer Curtis Harding is a considered affair, so much so it almost seems to err on the side of caution. 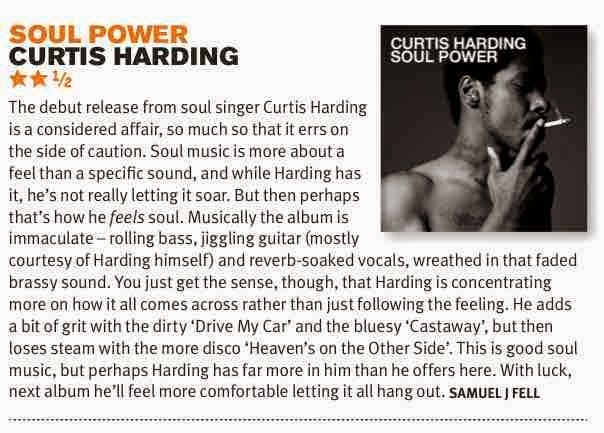 Soul music is, more so than many other styles, about a feel as opposed to a specific sound, and while Harding has it, he’s not really letting it soar on Soul Power. But then, perhaps that’s how he feels soul. Musically, the album is immaculate – rolling bass, jiggling guitar (most courtesy of Harding himself), reverb-soaked vocals, wreathed in that faded brassy sound. You just get the sense though, that Harding is concentrating more on how it all comes across, as opposed to just following the feeling. He adds a bit of grit with the dirty ‘Drive My Car’ and the bluesy ‘Castaway’, but then loses steam with the more-disco-than-soul ‘Heaven’s On The Other Side’. 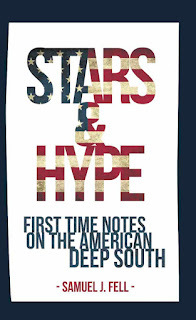 This is good soul music, but I get the impression Harding has far more in him than he offers here – I look forward to his next release, once he feels more comfortable letting it all hang out.